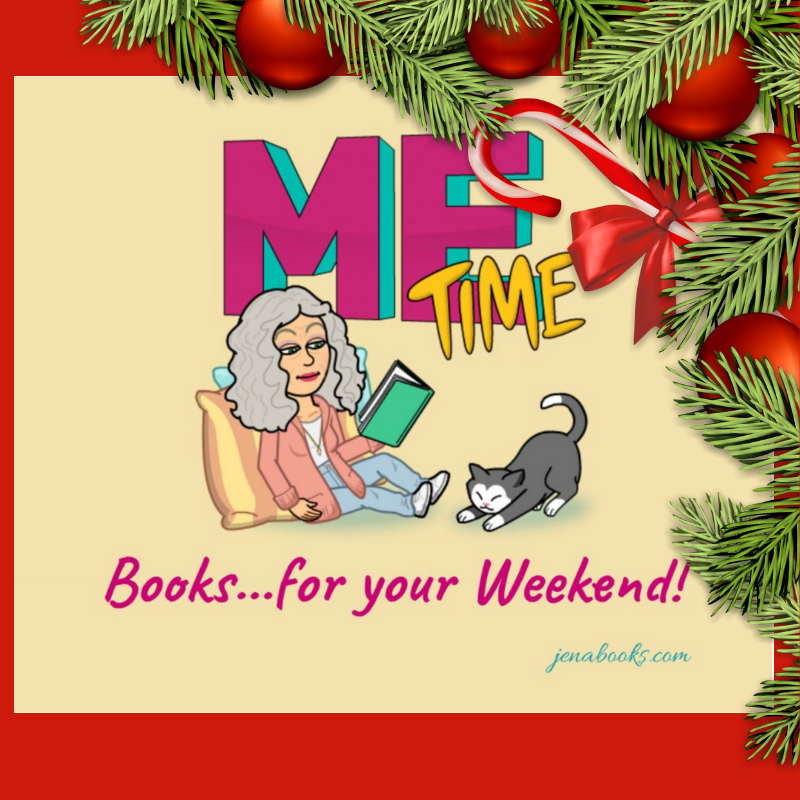 Three CHRISTMAS Books I Recommend! I agree with the author- the Christmas Season should last at least 40 days! Let your outside lights sparkle and keep your tree up as long as you can. If you aren’t as thrilled with the holiday season as I am, then I encourage you to read this book. This solid, vibrant and affirming devotional will give you quiet and gentle guidance, as it teaches and inspires. This book contains a devotional, one for each day of Advent, Christmas and Epiphany. Thus, we can prepare, celebrate and live out the truth of Christmas. Each daily lesson features scripture, history and theology and reflections of the season and ends with a short prayer. I was astounded at how much I didn’t know about our Christmas traditions. The devotion on the Christmas Tree was so beautiful and moving. Did you know that in the Middle Ages, Christians set up “paradise trees” on Christmas Eve? The author explains that long ago, Christmas was designed as a Christian celebration to lift our spirits during the darkest time of the year. Christmas is God’s gift that allows us to meditate on the glory and wonder of our Savior’s birth. This sincere and well-researched book will help you to decorate your heart and inner life for the joyous holiday season. Author Joseph Castleberry holds a Master of Divinity degree from Princeton Theological Seminary and a Doctor of Education degree in International Educational Development from Columbia University. For 20 years, he served as a Missionary in Latin America. He is currently the President of Northwest University in Washington. I highly recommend this book. What a wonderful gift for family and friends. Thanks to NetGalley and the publisher for a review copy. This is my honest review. For years, the Hardwick Ornament Company’s artisan glass blown ornaments were “must haves” for family Christmas trees. Two families, the Hardwicks and the Vessers had crafted the “heart of Christmas” at their small factory in New England. Quinn Hardwick is the great-great-grandaughter of the founder. She has recently inherited the abandoned ornament company. She has also inherited the passion and vision needed to make her dream of resurrecting the ornament production come alive. Nolan Vesser lives on the opposite coast in California. He has had to raise his younger sister after his parents tragically died. He makes it work, thanks to his dedication and glassblowing skills. But when another tragedy shakes his life, he decides to accept Quinn’s invitation to visit her and consider working with her at the Ornament Company. And yes, his Great-Great Grandfather was the original glassblower, which leads to some secrets. This charming book features everything we love about Christmas, especially a Hallmark Christmas. A small town, a large loving family, events such as the Reindeer Ruckus and an eggnog competition gift us the magic of the holidays and warm our hearts. Speaking of warm hearts, Quinn and Nolan are sweet as they navigate a business relationship and a growing love for each other. He admires her love of town and family and commitment to her dream. She is captivated by his good looks, strength of character and artistic talents. Although I appreciate Hallmark books and movies because of their sweet values, I do wish we had been treated to a real kiss between Quin and Nolan. Happy Holidays! Thanks to Net Galley and Hallmark Publishing for an ARC. This is my honest opinion. Step into a Victorian Christmas Eve, 1894, in the small town of Stirling, Scotland. You’ll enter a living Christmas card of candles in the windows, and families gathered by their glowing fireplaces or around their festive dining tables looking forward to presents and church in the morning. But for two young people, there is little joy to celebrate. Margaret “Meg” Campbell is twenty-six and a school teacher living alone in a house she inherited in Edinburgh. She had returned to her parents’ home for the holidays, but she decides to leave abruptly due to family problems. She heads back to the train station without telling her family. Handsome Gordon Shaw is on assignment in Stirling as a reporter for a newspaper. With his business done, he heads to the train station and hastens to leave before anyone recognizes him. It’s been twelve years since he had to flee the town. The station is a flurry with happy families coming and going to their holiday destinations. Our two young people just want to be left alone, but by chance Gordon and Meg meet on the train. Gordon recognizes her because she is part of an unfortunate accident that Gordon caused 12 years ago. Meg doesn’t recognize him; if anything, she is attracted to his handsome and honest looks. A Christmas Eve snowstorm disrupts everyone’s plans and sets in motion a story of forgiveness and redemption so filled with love and hope that it will warm every reader’s heart and deliver the true spirit and message of Christmas that we all search for. I know many readers are fans of the author. She writes using a strong foundation of research and then adds a framework of good storytelling. I highly recommend this book- give yourself this charming and lovely gift. Thanks to NetGalley and BooksGoSocial for a review copy. Some sparkly, cosy reads here. Love the sound of them all. ‘Tis the Season!Thanks for taking a peek!